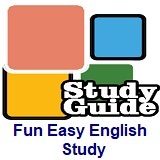 ﻿ Fun Easy English - new american english study Voice of America VOA Education Tips Improve Your Pronunciation by Training Your Ears lesson. The lesson includes an audio program explaining this topic, the script for the audio program, a words in this story section, and other important information. Listen to the audio program explaining this topic. Then read the following written information. From VOA Learning English, this is the Education Report. Many English learners work hard to improve their pronunciation skills. If you are not making as much progress as you'd hoped, you are not alone. You may be surprised to know that a number of teachers do not know how to effectively teach this skill. Judy Gilbert is a pronunciation expert. She has written many books on the subject. A few years ago, Gilbert gave a talk at the New School, a private university in New York City. She explained that, for the past 50 years, most English language teachers have not been trained to teach pronunciation. For years, teachers mainly demonstrated the pronunciation of individual sounds, such as the "wh" sound in the word "what." But individual sounds are only one part of pronunciation, as we noted in an earlier Education Tips story. Other elements include rhythm, intonation, and stress – the loudness you give to part or all of a word or words. These qualities together make up the system of spoken English. In everyday speech, some words and sounds are almost always pronounced fully and clearly, while others are reduced and less clear. William Stout teaches English as Foreign Language at Georgetown University in Washington, D.C. He has been leading pronunciation workshops for 10 years. He says the goal in improving your pronunciation should be communicating to be easily understood, not removing your accent, which is often difficult or impossible. Stout says one of the most important things you can do to improve your pronunciation is to learn how to listen to English effectively. And, a big part of doing this is to recognize and understand reduced English words when you hear them. Stout says his pronunciation workshops mainly center on training his students' ears to listen for these things. "Someone might say, 'What do you want to get him for his birthday?' And in this case, even beginner students can usually hear the content words -- what, get, birthday – and they can guess the meaning. But the words in between are reduced." And you can hear how some words join together to sound almost like one word. For example, the words "get him" sound like "geddum." The letter "h" in "him" disappears and the vowel sound in that word is shortened. And the letter "t" in "get" changes to a "d" sound. In everyday speech, some words are almost always reduced. These words can include pronouns, helping verbs (such as "can" or "do"), conjunctions, articles and prepositions. Other parts of speech are almost always pronounced clearly, such as nouns, verbs, adjectives and adverbs. Stout says that knowing these rules can help you train your ears more effectively. And, this can help you reproduce the sounds of everyday English speech so that you are more easily understood. Stout enjoys using songs and song-like material in his classes. These things reproduce the natural rhythm, intonation, and stress of conversational English. Listening to songs, says Stout, can help speed up your progress. "I think songs are a nice way to practice and I've found that students who like to sing in English generally improve their pronunciation very quickly." In class, he plays a song or other example of natural speech, and asks students to write down what they hear. Then, the class talks about which words were reduced and how. Who ground his false teeth ‘til he bent them. Did you notice the reductions? There are many. One example is the dropped "h" in the pronouns "his," "him" and "he." Note that the word "'til" means "until" and "'cuz" means "because." In English conversation, Americans often shorten the words just as the limerick does. Stout also uses jazz chants, a method popularized by book author and songwriter Carolyn Graham. He lives near the bank. He works all day and he works all night. It's a bank. It's a bank. It's a great, big bank. Here are two suggestions for using these methods. William Stout says as you listen to fast-paced English in songs, films, and other natural speech, try to notice all of the words that are reduced. Then…. "…work on imitating just one phrase or a sentence several times. But my main advice is not to wait. And you can improve your pronunciation at all levels of proficiency…and the sooner you start to notice the patterns of English pronunciation, the sooner you're going to improve. And, that way, you don't develop bad pronunciation habits that are hard to change over time." Stout advises that you let go of the fear of not sounding like "yourself" when you're practicing English conversation. "A big part of how we define ourselves, a big part of our identity, is in the way we talk, the way we sound. But, sometimes, we just need to take on a new personality in the way we speak in a different language and we should just take chances. I think that's an important aspect is being willing to take chances and sound different to yourself." And again, improving your pronunciation is not about completely removing your accent. "I find that most Americans like to hear an accent – so long as they can easily understand what the person is saying." Remember, the goal is to be understood – not to sound like a native English speaker. Alice Bryant wrote this story for Learning English. George Grow was the editor. Which words in the limerick are reduced? Which words in the jazz chant are stressed? Write your answers in the Facebook comments section below. content - n. the ideas, facts, or images that are in a book, article, speech, movie, etc.